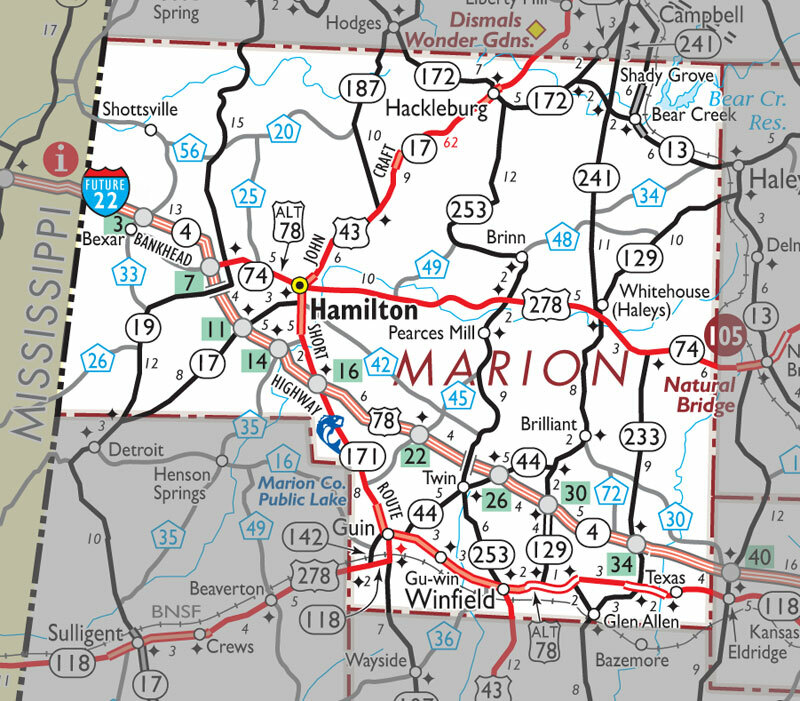 HAMILTON - A Hodges man has been arrested in connection with the theft of three cattle in Marion County to support a drug habit, Marion County Sheriff Kevin Williams said. James Rocky West, 26, was arrested on Oct. 2 for four counts of second-degree theft of property, two counts of third-degree criminal trespassing, second-degree criminal mischief, and third-degree burglary and remained in the county jail as of Oct. 7 under a $76,000 bond. Williams said on Oct. 8 that one of the second-degree theft of property charges originated with the Hamilton Police Department, as the sheriff’s department recovered an item stolen in the city. He also faces second-degree theft charges from Franklin County involving the theft of a couple more cows. The sheriff’s department received a call on Sept. 24 about cows stolen from the area of County Road 172 in the Mt. Olive Church area, he said. Two Blank Angus cows were reported stolen. The next call came on Sept. 28 reporting that a third cow, also a Black Angus, was taken in a second theft from the same area. The sheriff’s department found the cows the next day, Sept. 29. “(West) sold them to a man named Harold Stidham on Alabama Highway 19” in the Shottsville Community, Williams said. “(Stidham) bought the cows from Mr. Rocky West, and we were able to recover the cows the following day" in a pasture behind Stidham’s house the following morning. The cows were not harmed. Stidham said he did not know how West obtained the cows, Williams said. The cows were valued at $2,100 each, he said. West sold all three to Stidham for $1,800. West also stole a cattle trailer in Franklin County on Highway 187 at another residence, Williams said. Also, in the process of the investigation on the night of Sept. 28, Williams and chief deputy Jeff Davis were able to find a stolen 16-foot flatbed utility trailer that was recovered for the Hamilton Police Department. “It was found on some property belonging to Rocky’s mother," known as “Cookie” West, off of County Road 87 in Franklin County, he said. “All these theft cases that he is facing in Franklin and Marion counties relate back to drug addiction to support his habit," Williams said. He said West also was charged “with theft of a washing machine and dryer stolen from a residence on County Road 73 that we recovered." The case is still under investigation, Williams said. “I expect more arrests to come," he said. Williams said his department had assistance from Jamie Bozeman of the Alabama Law Enforcement Agency, the Franklin County Sheriff’s Department, the Hackleburg Police Department and the Hamilton Police Department.